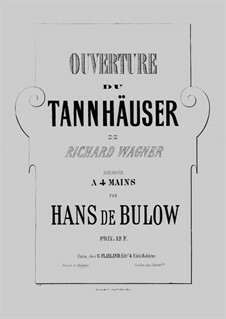 Arrangement for piano in 4 hands by Haus v.Bulow. 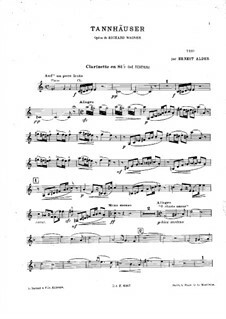 No.9, 10, for violin, cello and piano four hands – cello part Arranged by Kummer F.A. 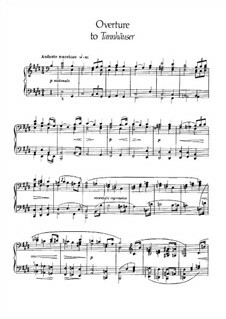 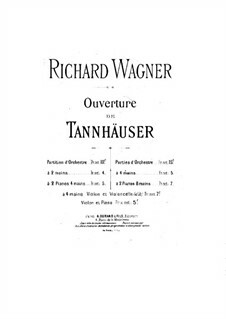 No.9, 10, for violin, cello and piano four hands – piano part Arranged by Kummer F.A. 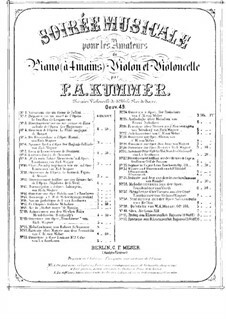 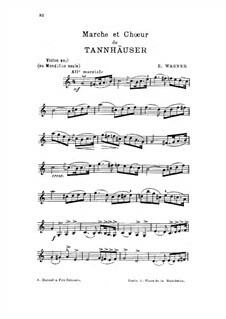 No.9, 10, for violin, cello and piano four hands – violin part Arranged by Kummer F.A. 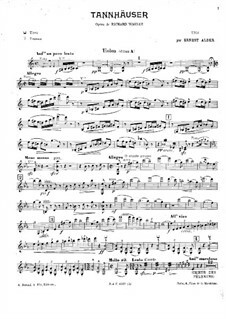 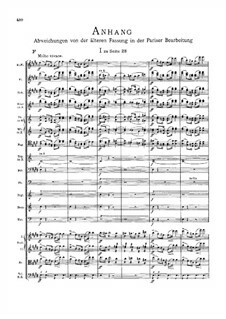 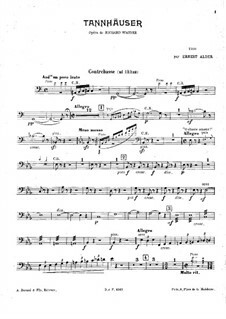 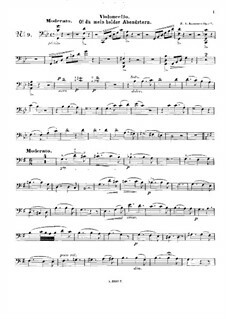 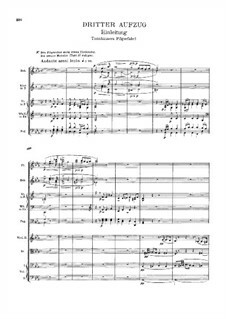 For piano trio – clarinet part (ad libitum) Arranged by Alder R.E. 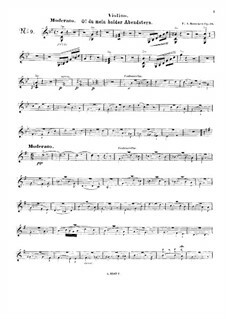 For piano trio – double bass part (ad libitum) Arranged by Alder R.E. 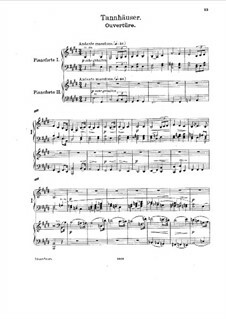 For piano trio – cello part (ad libitum) Arranged by Alder R.E. 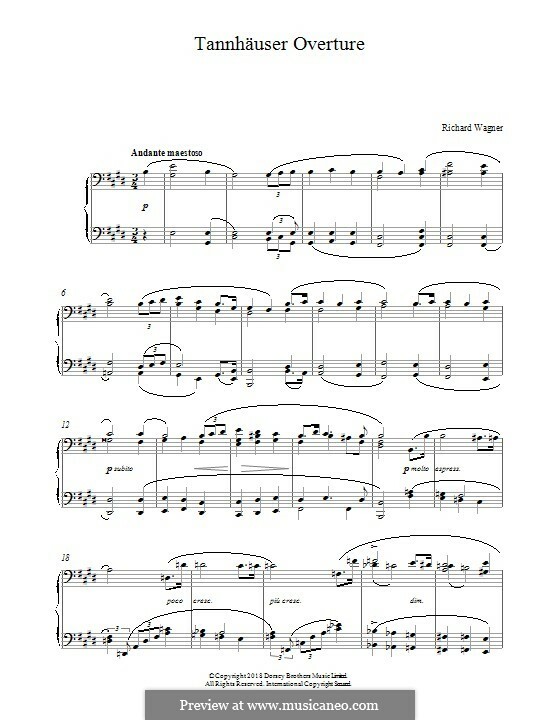 For piano trio Arranged by Alder R.E. 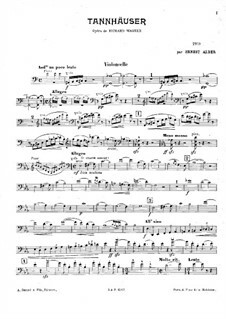 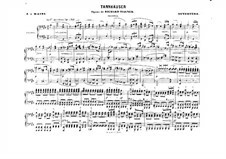 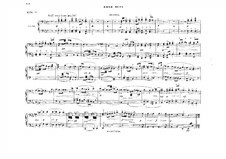 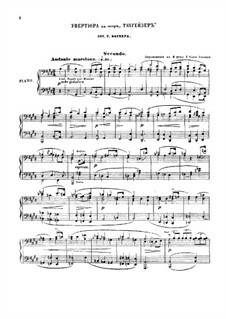 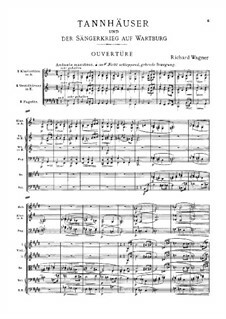 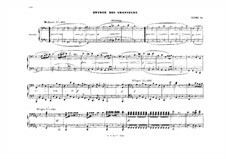 For piano trio – violin part Arranged by Alder R.E. 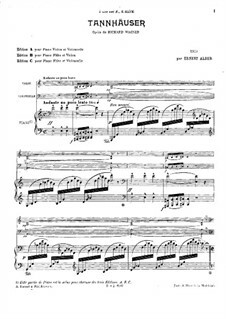 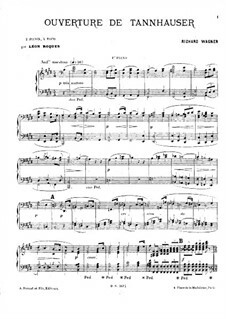 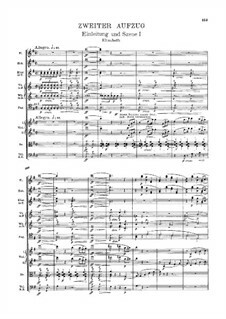 Act II, Scene IV, for piano four hands Arranged by Bülow H.
Act III, Antract, for piano four hands Arranged by Bülow H.
Overture, for two pianos four hands Arranged by Reger M.
Overture, for piano four hands – parts Arranged by Bülow H.
Overture, for two pianos four hands – piano II part Arranged by Roques L.
Overture, for two pianos four hands – piano I part Arranged by Roques L.